(CBS News) Pi Day is upon us and Ford Motor Company is celebrating the mathematical constant by launching a math challenge on the link-sharing site Reddit. "Starting today at 11 a.m. EDT, Ford Fusion engineers will post a different math equation every 3 minutes and 14 seconds to Reddit and ask the community to solve each one," the company said in a statement. "The first person to correctly answer one of the 42 total equations wins 'Reddit Gold,' which gives users special exclusive features for their account." The math challenge extends to Detroit area high school students, who will by vying for prizes throughout the day. Ford Fusion engineers will also speak to students at the Henry Ford Academy and Henry Ford Academy: School for Creative Studies and challenge them to answer three mathematical equations actually used in the Ford Fusion. 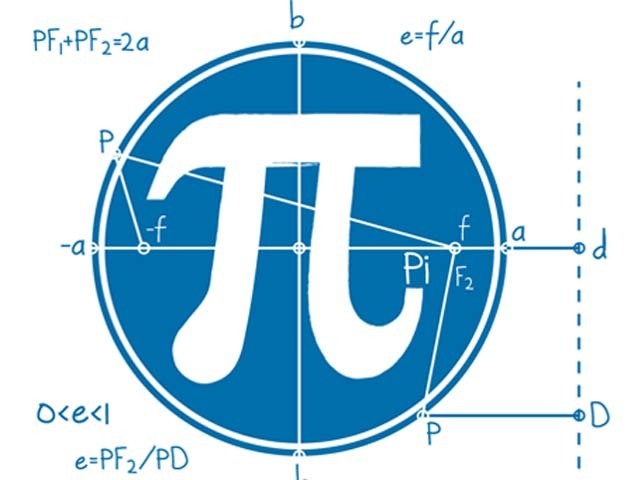 "By celebrating Pi Day, we hope to get people to appreciate the impact math has in helping them get from home to work, school or the grocery store," said Gil Portalatin, Ford Motor Company product development engineer. "Without math, the auto industry and your vehicles would look and drive completely different." Pi is a mathematical constant and irrational number that is the ratio of the circumference of a circle to its diameter. Because Pi is an infinite decimal, it is typically shortened to 3.14.